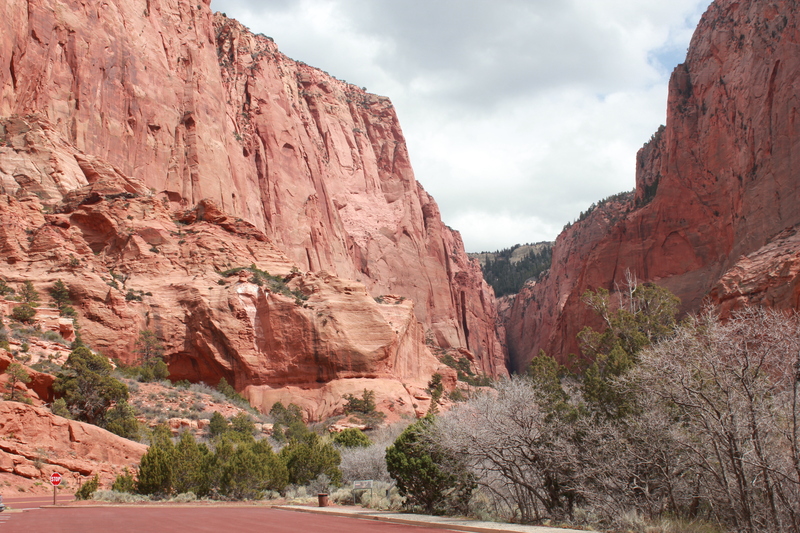 Kolob Canyon is quiet and less popular than the other more famous side of Zion. 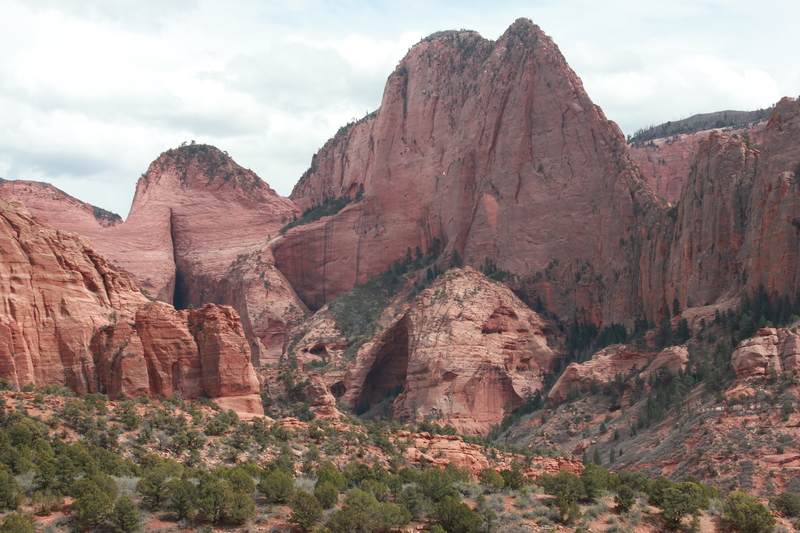 It is also home to the Kolob Arch which is second longest natural Arch in the world. Had there been more time, we would have enjoyed the 14 mile round trip hike or the ice box canyon canyoneering route out to get a closer look. While we couldn’t find the Kolob Arch for a picture from the road, we did find another pretty awesome arch/cave photo op! I couldn’t help wishing we had the road bikes because the road up the canyon would be a killer hill work out. It’s a steady 5 mile ascent with about 1,000 feet of elevation gain. You can’t beat working out with that view! After leaving Kolob Canyon, we stopped in Cedar City for some groceries. That grocery store provides a very unique kind of culture-shock, you should just go for yourself and see what I mean. After our special grocery store experience, we headed up the 14 and 148 toward Cedar Breaks National Monument and Brian Head. We were still too early in the season to stop at Cedar Breaks but the surrounding snow provided a fun area to run around and eat some lunch. Sage experienced snow for the first time and we had a beautiful view of a pond while we made sandwiches and took a driving break. This entry was posted in bike touring, Biking, Roadtrips, US travel, Utah and tagged arch, cycling, kolob, road trip, road trips with babies. Bookmark the permalink.